GIANT TURTLE MAYHEM – NOW NEW AND IMPROVED! It’s giant turtle time on the next DARK VAULT OF PUBLIC DOMAIN. Join UNCLE PETE this Saturday for the 1965 Japanese monster classic – Gamera The Invincible, the first cinematic appearance of the giant building stomping flying reptile, originally released in Japan as Daikaiju Gamera. And now it’s biggerer, brighterer, betterer, and turtley-er then before. 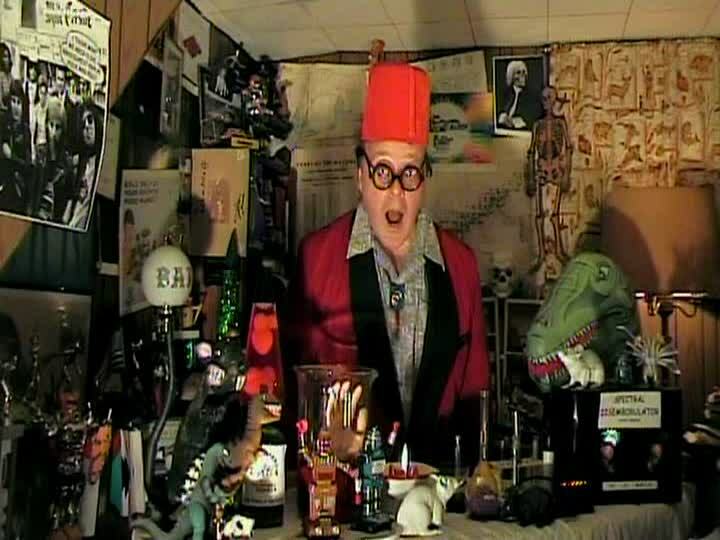 That’s right, it’s another remastered DARK VAULT OF PUBLIC DOMAIN broadcast through digital technology with the new intro, crisper video, and new content. In fact, we are now broadcasting in SD (Some Definition). A bomb blast wakens our sleeping hero and he gets up a little cranky and takes a walk through some of Tokyo’s hot spots (at least they are after he gets through with them). 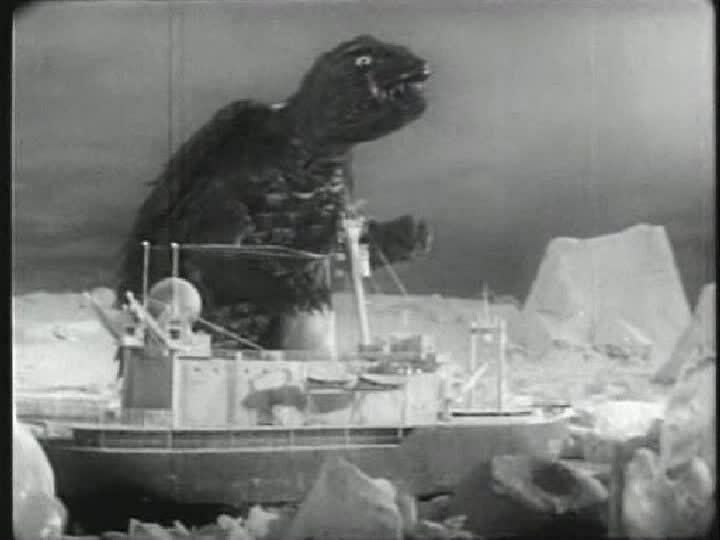 Gamera The Invincible was the only film in the original crop of Gamera movies that was released in American theaters. Re-edited and slightly longer than the original Japanese release, the U.S. version added several scenes and American actors, including Brian Donlevy and Albert Dekker, to the original line-up starring Eiji Funakoshi and Harumi Kintachi. Directed by Noriaki Yuasa. From 1965, it’s Gamera The Invincible. Back in The Dark Vault Laboratory. UNCLE PETE has been contracted by an unnamed party to develop a size enhancement formula. The enlarging fluid proves a little too successful as it turns a robot into a rampaging, stomping, flying giant pain in the neck. You know, the usual. But UNCLE PETE still finds time between disasters to bring you some music, including a video by the Plastics, and a cartoon about a meanie up north called The Snowman. It all happens this Saturday, June 8, 2013 from 10PM to midnight on channel 4. So grab your molten turtle food and join UNCLE PETE for the next DARK VAULT OF PUBLIC DOMAIN!!! ~ by UNCLE PETE on June 8, 2013.